It's the ultimate surface, expertly stretched by hand. The faultless, finest grade cloth is primed with highly pigmented Gesso and is beautifully responsive to every brushstroke. The new Winsor & Newton pro-stretcher™ creates precision tension that you can control. 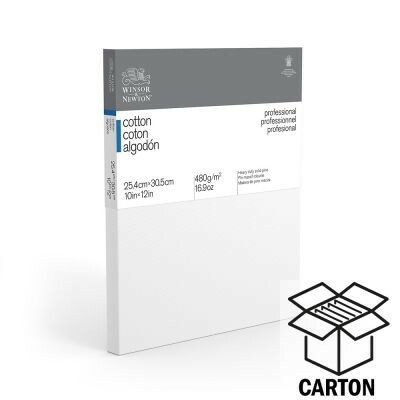 The traditional cotton canvas surface has a medium texture, ideal for use with oil and acrylic paints. Built for endurance, with solid heavy-duty pine wood stretcher bars that are kiln-dried for strength and rigorously tested for warp-resistance. No other surface comes close. 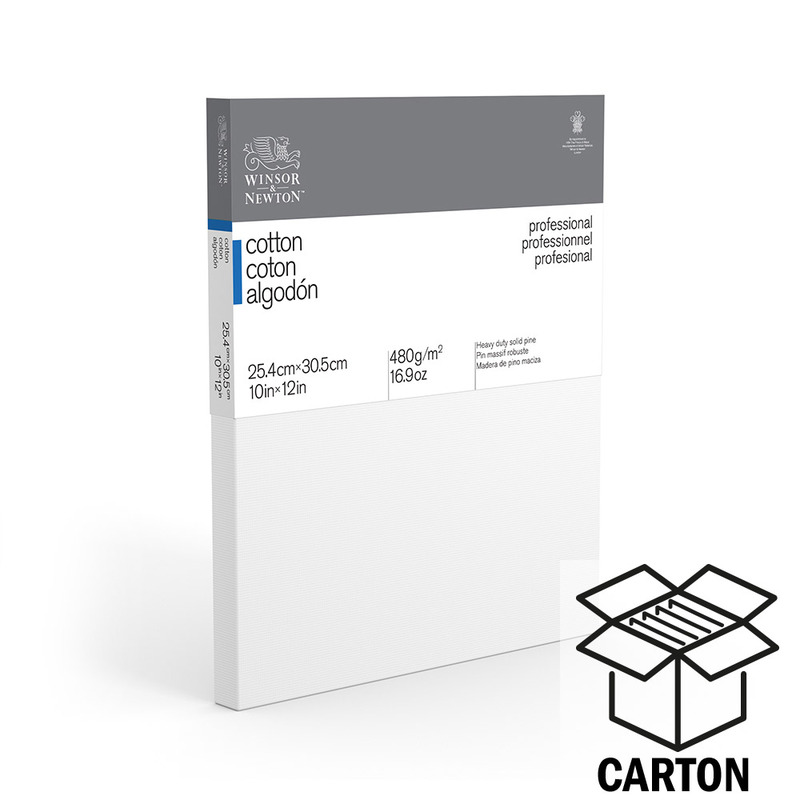 âThe express service for next day noon delivery is not available with Winsor & Newton Canvas Cartons. The introduction of the new Pro-stretcher™ demonstrates Winsor & Newton's dedication to innovation. 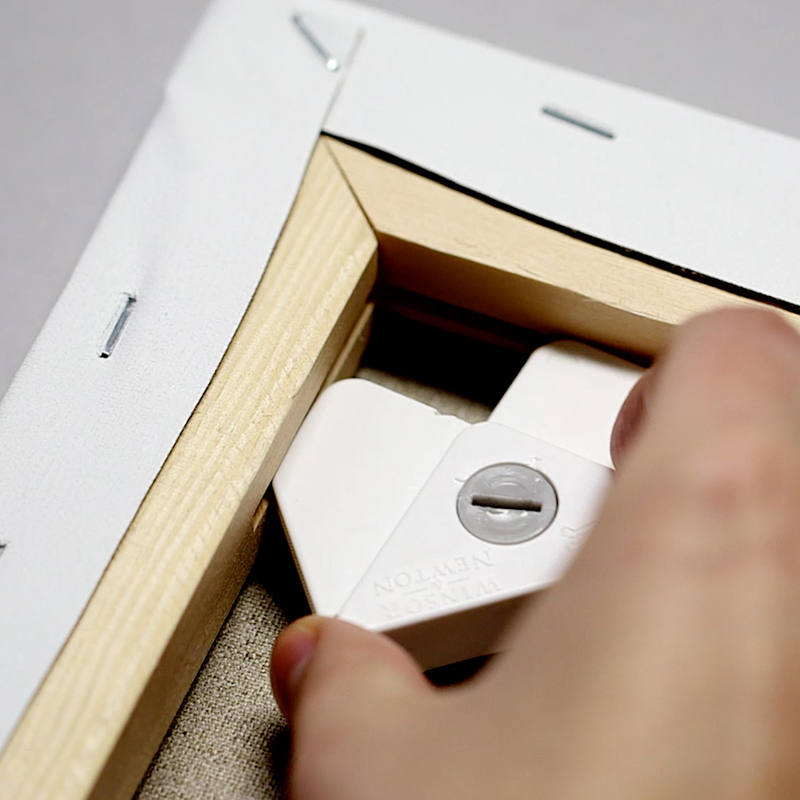 This invaluable tool makes achieving the perfect tension easy. Strong and compact, it allows you to create an immaculate bespoke surface, stretched exactly as you want it. Painting surface taught and drum like across whole of canvas. Solid frame a pleasure to create and paint on. Easy to fit specially designed fittings (to make the canvas taught) in corners of rigid wooden stretcher (frame) no flimsiness no bobbling on the primed canvas surface or inconsistency in quality of canvas fabric. Paint goes on with ease, great tooth to the fabric.ready to go out of the box no need for gesso.